Previous to that, they were created in the default Users folder in Active Directory. I had tried several things, I restarted the Health Manager service on all my Mailbox servers, I re-ran setup.exe /PrepareAD from the installation files, checked to ensure that the Exchange servers had permissions to that OU, deleted the Monitoring Mailboxes OU and re-ran Setup.exe /PrepareAD. Nothing worked. Deleting the Monitoring Mailboxes OU and re-running Setup.exe /PrepareAD did recreate the Monitoring Mailboxes OU, but there were still no Health Mailboxes. The fix for this was really simple. The default email address policy in this environment was disabled, or scoped to only apply to a very specific OU that didn’t include the Microsoft Exchange System Objects->Monitoring Mailboxes OU. 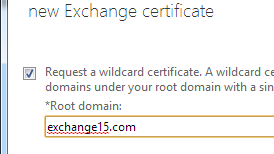 After that, I restarted the Microsoft Exchange Health Manager service on all Mailbox servers and low and behold! All monitoring mailboxes were created! Essentially if you do not have an email address policy that applies to the Health Monitoring mailboxes, they will not be created. The fix was simply, create and apply one to that OU. In this article we will go through the steps to migrate public folders from Exchange 2010 to Exchange 2016. 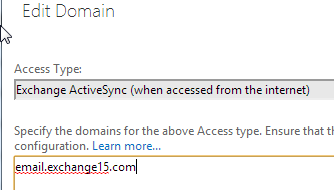 Keep in mind this same process works for migrating to Exchange 2013 as well, the steps are identical. Let’s start first with the changes in the public folder setup that began in 2013, what Microsoft calls “Modern Public Folders”. Legacy Public Folders, or public folders from a version of Exchange previous to 2013 went largely unchanged. There were public folder databases that were stored on a mailbox server. To provide high availability and redundancy, you could create public folder databases on multiple mailbox servers. Then, on a per folder basis establish replica’s of that folder so that copies were on more than one server. Anyone that has dealt with legacy public folder replication issues can tell you the process is not that fun to troubleshoot. It’s also not exact, as the quickest the folders can replicate is 15 minutes. This can certainly cause issues if you have a group of users collaborating and they are each connected to a separate copy of the public folder data, there can be delays or collisions in the data sets. Also, public folder databases could not be protected in a DAG, so they were not able to benefit from the same availability designs as normal mailboxes. Exchange 2013 change the architecture so that public folder data is now stored in mailbox’s designated as “Public Folder Mailboxes” instead of using dedicated public folder databases. The benefit of this model was that public folders could not be placed into normal user mailbox databases, which would mean they not benefit from the DAG architecture. Also, there is now only one writeable copy of the folder, so data integrity is more accurate. This means that there is a migration process that must occur from the legacy public folders to the modern public folders. What we will aim to do in this article is highlight how we do that migration, and also how the user connections to the modern public folder changes as well. For this article we will leverage a simple two server architecture. This will allow you to backup the folder structure, statistics and the client permissions for reference. This will be useful if you find your migration does not go well and you need to reference how things looked before the migration. Manually rename any folder found here to something without the backslash character. Next, we need to use the downloaded scripts from Microsoft to generate two CSV files. The first one will be PublicFolderStatistics.CSV. This will simply list all of the folders and their respective sizes. It will list the path, and the folder size on the right hand side. The second script we run, is the Mailbox Mapping script. What this does is take the PFFolderStatistics.csv file as an input, and also the max size you want a public folder mailbox to be as an input and tells you how many Public Folder Mailboxes you need, and what their names should be. Note that if your Max Public Folder Mailbox size is smaller than the any one folder in and of itself this script will return an error. Simply increase the max size until the error stops appearing. Notice the left hand side is the folder paths, and on the right hand side is the corresponding Public Folder Mailbox that they will be migrated into. The script uses generic names, so we can see, its lists Mailbox1 through Mailbox10. This means I need at least 10 Public Folder Mailboxes for this migration. Note that the first Public Folder Mailbox created will be known as the root public folder mailbox and will be the mailbox responsible for keeping the hiearchy. The rest will replicate the hiearchy from this mailbox, but are available for data to be stored in. Since we are changing the names, we need to manually edit the CSV file to reflect that. Note that the root public folder mailbox must be assigned to the folder “\”. This is important, ensure that you have an Email address policy that applies to the public folder mailboxes. If they do not receive an email address, the migration will fail, but also users wont be able to connect to them later on. We’ll explain why. Now we wait for the Migration to get to the status of “Synced” and then we are ready to look at doing the final cutover. Notice there is a migration for each public folder mailbox, in our case a total of 10. Also remember that Migration Batch’s will do incremental sync’s every 24 hours so you can start the initial sync in advanced and let the system sync up every 24 hours. 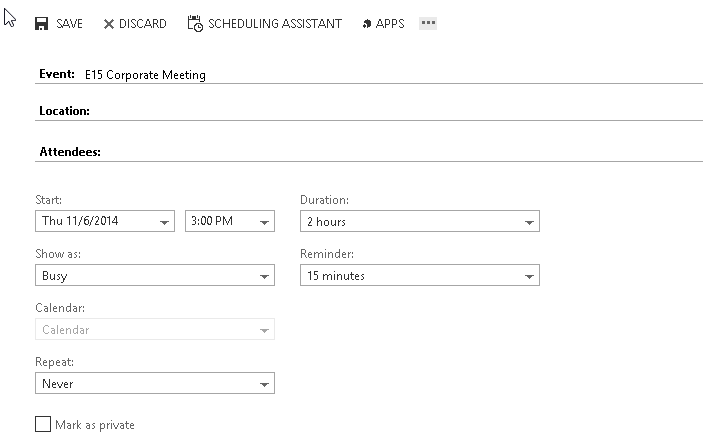 The start of this next section is when the users will no longer be able to connect to Public Folders through Outlook. They will receive an error if they try to expand the public folder section in outlook. If you have multiple Legacy Exchange Servers, this can take some time to complete. During this time, all emails destined for Mail Enabled Public folders will queue until the migration is completed. This brings us to an important part of the process, discussing the connectivity changes for Modern Public Folders. In previous versions of Exchange, an outlook client made a direct connection to the Public Folder Server. Your connection logic was handled by the Exchange Server that accepted your connection for your mailbox, informing you of how to connect to public folders. 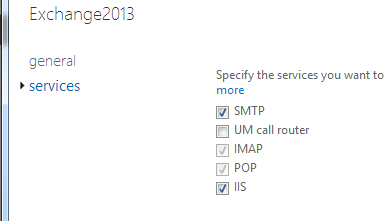 Well, starting with Exchange 2013 all traffic was forced through either Outlook Anywhere or MAPI/HTTP. With Modern Public Folders, all connections to public folders, since they are essentially mailboxes, are handled just like a users mailbox, through autodiscover! Notice how they each have an email address of @accessabac.us. Now lets say that we have a user, and their email address is PPonzeka@Mailbox.com. 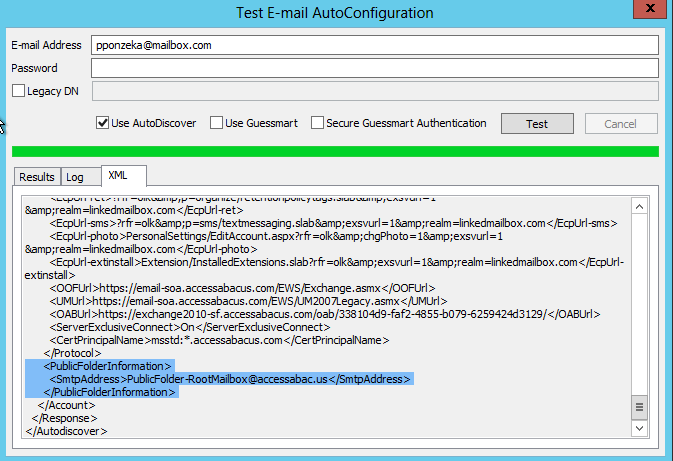 When this user connects to their mailbox, their Outlook will actually perform two autodiscover requests. One to the mailbox.com domain, and the second to the accessabac.us domain. This is why you need to ensure the public folder mailboxes have a valid SMTP address, but also that you have valid autodiscover records for that domain. Remember, if you set the email address to something internal, external users will not be able to access public folders! Had an issue in the lab today. Went to uninstall an Exchange 2013 server that I had previously removed from a DAG, yet when I went to uninstall Exchange 2013, kept getting an error message that “this computer is a member of a cluster”, even though it was not. It was an easy enough fix, ran cluster.exe node /force and then tried the uninstall again. 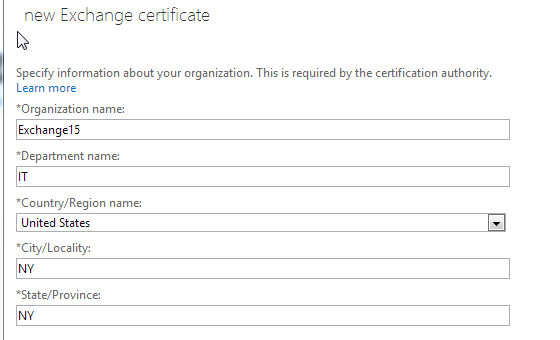 If you want to create a SAN certificate, leave this unchecked and select next. 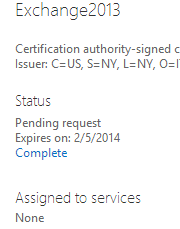 Now we need to submit this request to a certificate authority to complete the request. In our case, we will use a Windows 2008 R2 CA to do so. 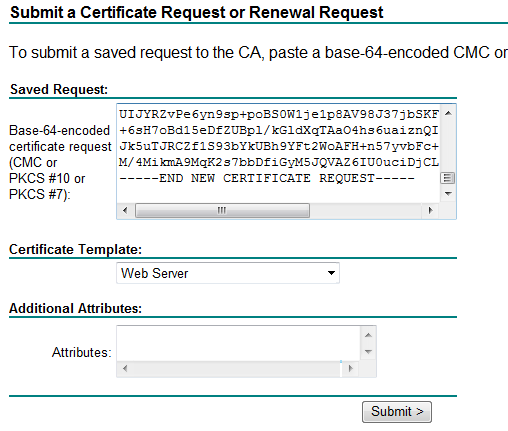 Hit submit to finalize, and you should see the option to Download Certificate or Download the Certificate Chain. 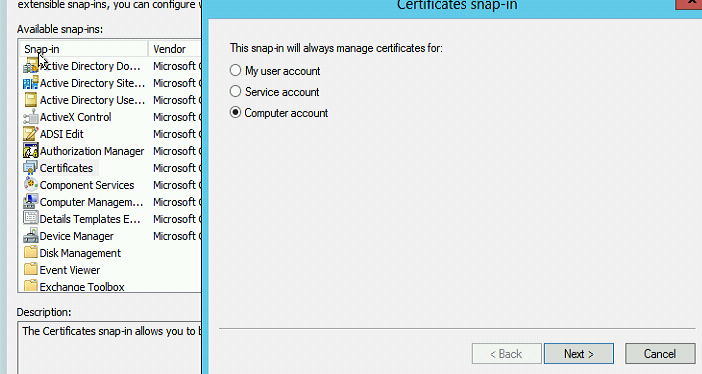 Select Download the certificate and save the file to the shared location that you saved the request file to. 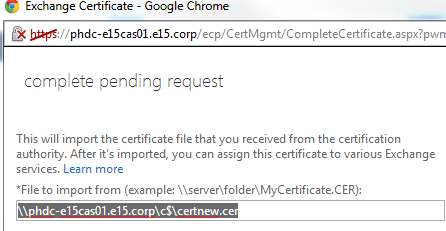 Next, download the Certificate Chain to the same location, as we will need to import the CA certificate to the host to ensure it trusts the certificate. 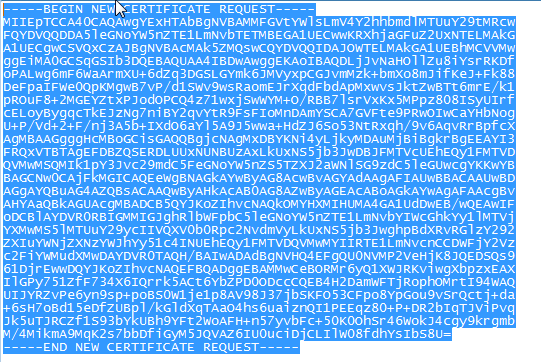 certnew.cer is the exchange servers certificate, certnew.p7b is the CA certificate. 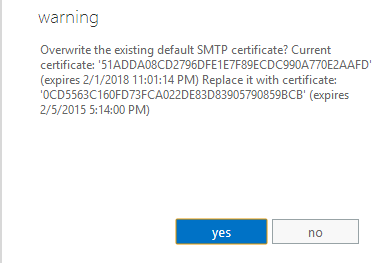 We are now utilizing the new cert! Set up the new twitter handle today finally. Follow me @PaulPonzeka! When you add Jon Smith as an additional mailbox to open in Paul Ponzeka’s exchange profile, you cannot open Jon Smith’s mailbox.